Hootsuite is one of the most popular and comprehensive social media tools out there. Yes, there is Tweet Deck and cotweet, but Hootsuite is considered the “crème de la crème” of the Social Media Tools World. I’ve used it for many years and I’ve recommended it regularly for my clients and still do. It was launched back in December 2008 by the digital agency Invoke Media. With a list of features as long as, well, something long, it’s hard to see why you’d never want to use Hootsuite. However, this post isn’t about the reasons why you should use Hootsuite, this is a post on why you should not! I know the title of this post is a little provocative, but I don’t mean to be overly negative. Hootsuite will be the right product for a lot of people– this post is about a few issues that may be a deal breaker for some people. I’d be really interested in your thoughts, so please let me know in the comments. To get a more balanced view, have a read of my more recent post entitled 7 Reasons why you SHOULD use Hootsuite. 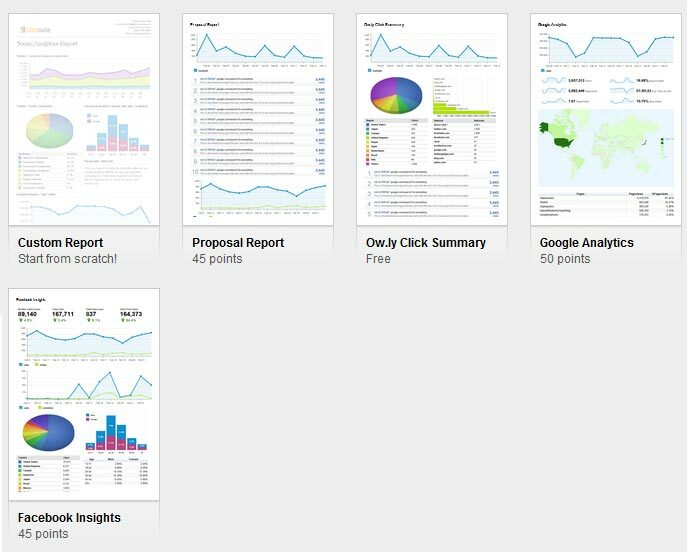 Don’t get me wrong, Hootsuite have gone out their way to produce some awesome analytics reports. These can in great detail how your social networks are doing. 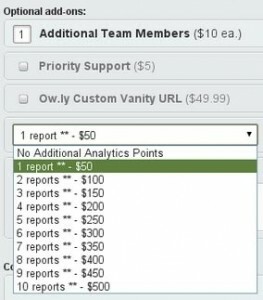 You buy reports using points. Assuming you are on the Pro plan ($9.99 per month) you get 50 points to use every month. 50 points is equal to $50 worth of reports. 1 report costs $50. This means you get 1 free report each month. If you are serious about monitoring your social media performance then this is simply not going to be enough. 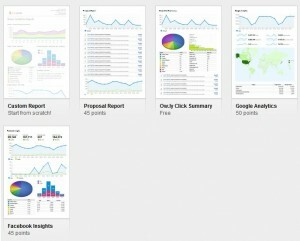 Yes, there are free reports like the ow.ly one (more on this later) but the others are either $45 or $50 per report. As a medium-to-large size business with a large social media team this may well be fine, but for smaller businesses or individuals this is just going to be way too expensive. Some may say that these reports are worth it, and in some regards I’d agree. The Google analytics integration is just awesome and the Facebook report is a massive improvement on what Facebook give you. As I said, if you can afford these reports then great. Of course, where would we be without url shorteners? They started as a result of people wanting to add links to their Tweets without using up as much space. Later on, url shortener providers offered tracking services, as they also had the advantage of tracking how many clicks were made on the link (and tracking information of the person who clicked the linked link like location and what browser they were using). Hootsuite have their own url shortners– ow.ly and ht.ly. That’s fair enough, but you are forced to use them (unless you add your own custom url shortener– more of that in a bit). As well as broadcasting to everyone that you are using Hootsuite (which, to be fair, happens with any non-custom url shortener) you can only track any click throughs that have been added from within Hootsuite. This is a real problem, as if like many, you use other services such as Buffer, Social Oomph, Twit Pic or even Tweet Deck, then you can’t track the links you’ve added here. The Hootsuite reports that you’ve paid for won’t give you the whole story. If you use other analytics services such as Twenty Feet, bit.ly or Buffer App then they won’t show the click throughs from the Hootsuite links. You could of course monitor reports from each, but that’s no easy task. Perhaps, that’s what Hootsuite want. They want to lock you in– they don’t want you to use other services. For some, this isn’t a big issue. For the big companies out there, offering customer services via Twitter, Hootsuite will be the best option– they don’t need to use Buffer or Twit Pic. However, if you use multiple services on your Twitter account then you are out of luck. Finally, although only a temporary blip, there was an issue when Facebook blocked all ow.ly urls. Hopefully that won’t happen again. 3. Expensive Custom URL Shorteners. This isn’t going to put everyone off. How many people actually use custom url shorteners? I use a custom url shortener for the links I share on my social networks– to.iag.me. This personalises my links, makes them more clickable and more professional. I use bit.ly for this, which allows me to add a custom url for free. Of course you have to pay for the domain, but in my case I didn’t have to pay any extra as it’s a sub-domain. If you want to use a custom url shortener (or an ow.ly custom vanity URL as Hootsuite call it) then it’s $49.99. Well, I suppose that isn’t too bad, except that that is the cost per month. That means using a custom url shortener will cost you $588.88 per year on top of the cost of the domain! This is madness, especially since when you consider you are still locked into only using Hootsuite’s reports. 4. No Thumbnail & Summary previews in Facebook in Certain Situations. I did contact Hootsuite about this, and to be fair they were quick in responding “Yes that is correct, if you schedule a post you can choose the thumbnail and it will post. However this is not a feature yet with Rss feeds and Bulk schedule, we invite you to submit this idea to our feedback forum here:http://feedback.hootsuite.com”. Hootsuite Help also replied to a Tweet saying that it probably wouldn’t be added in the future due to “logistical reasons”. When posting new content to Facebook via Hootsuite, those posts do not track the, likes, shares, and comments that you received in Facebook’s Insights analytical data for that post. The likes, comments and share do exist when viewing from the front end Wall and Feeds, but the “credit” for getting them is not recorded in any way by Insights. This doesn’t just affect Hootsuite, but bare in mind that some people have seen a drop in the visablity of Facebook page posts when using a 3rd party app such as Hootsuite. Although the EdgeRank score (which determines how likely your post will appear on your Fan’s newsfeeds) isn’t supposed to be affected, many say it is. Now that Facebook have their own scheduling system, it may be better to use Facebook instead. I was under the impression that extra team users (on the pro account) cost $10 per month. Team users is one of Hootsuite’s killer features. It allows multiple members of a social media team to access multiple social media channels without needing to know the password for each one. This is very important for a security point of view and is why so many big companies use Hootsuite. If you use Twitter for customer service, being able to delegate tasks between team members is going to be integral to your way of working. Hootsuite Pro and Enterprise should be affordable by the big businesses that work this way. For smaller businesses however, Hootsuite users are going to be expensive. You get 2 user free per month on the Pro account (and one of these users is you). The 3rd user costs $10 per month, and then each one up to 10 users is $15 per month. 10 users is going to cost $1,800 per year. If you want 11 users, you’re going to have to sign up for Hootsuite Enterprise which costs an eye watering $18,000 per year as the maximum number of users for Pro accounts is 10. Here is a table that summaries the user cost (since it’s far from obvious from Hootsuite). I’d also highly recommend Commun.it which is a full Twitter community management tool or CRM. I don’t have enough room to go into it here, but please see my Complete Guide on how to Manage your Twitter Community using Commun.it together with its walkthrough video. There are plenty of other tools out there that offer similar services to Hootsuite. Have a look at some of the comments below and let me know if you know of ones that you’ve personally used and would recommend. So there you go, 7 valid reasons not to use Hootsuite. Of course, you may well feel these aren’t strong enough reasons, but they are annoyances that I have found with it. Despite all this, I would still recommend Hootsuite to businesses in many situations. If they have the resources to pay for the extra features and especially if they want to use it for customer service.